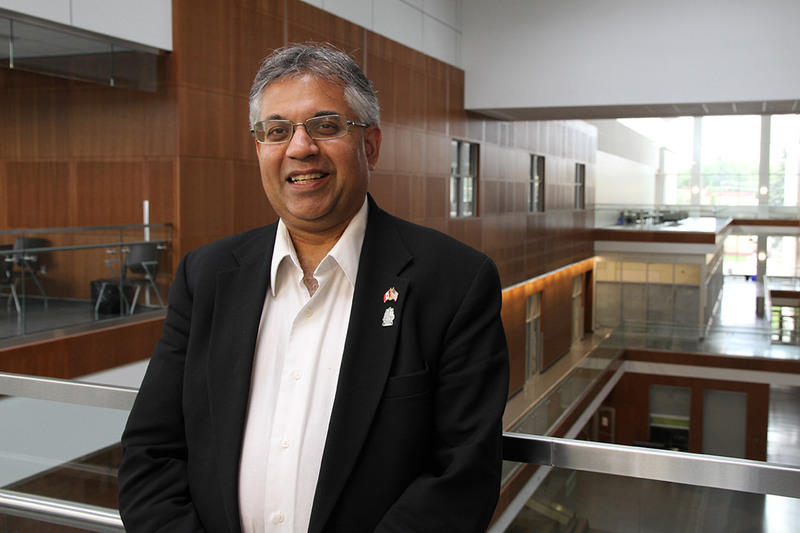 Shifting some functions done by physicians to health care professionals such as pharmacists, physician assistants and nurse practitioners will improve access to care and patient satisfaction, says Kishor Wasan, professor and dean at the University of Saskatchewan’s College of Pharmacy and Nutrition. In an opinion article published in the latest edition of the prestigious British medical journal The Lancet, he notes that such a change in conjunction with new modes of organizing and paying for physicians’ practices could provide greater savings, especially if pharmacists are given a stronger prescribing role within health-care teams. The journal contacted Kishor Wasan to review the book, Better Now: Six Big Ideas to Improve Health Care for All Canadians, by Toronto family doctor Danielle Martin, and also invited him to provide a perspective on health care in Canada. He, U of S pathology professor Jay Kalra and assistant pharmacy professor Ellen Wasan, co-authored The Lancet article. “As Martin concludes, we need ‘less talk about whether medicare is good, more talk about how to make it better,’” they wrote. Martin, who is a regular health issues commentator nationally on CBC, gained international attention in 2014 when Senator Bernie Sanders posted to YouTube her forthright defence of the Canadian single-payer medicare system in testimony given before a U.S. Senate committee. Among those quoted on the dustjacket praising Martin’s book are Sanders, and Roy Romanow, U of S chancellor and former Royal Commissioner on the Future of Health Care in Canada. Wasan said an opinion piece he co-wrote with Kalra and Lois Berry, U of S interim assistant vice-provost health, for the May 2017 issue of the UK-based Journal of the Royal Society of Medicine, may have been part of the reason for The Lancet’s invitation. That op-ed questioned whether there should be a shift away from physician-centred health care toward a larger role for other medical professionals. “Dr. Martin’s book is excellent, but it’s not perfect. It has some limitations,” Wasan said. While she provides readers with a good understanding of Canada’s health care system and a high-level overview of some main challenges facing the system, such as the affordability of some prescription drugs and the tendency of patients to seek expensive and unnecessary tests and treatments, Martin doesn’t go far enough, he said. Her treatment of the six big ideas, which include a national pharmacare program, reducing unnecessary tests and interventions, and providing a guaranteed annual income, falls short in the discussion of how to accomplish such objectives, Wasan said.